Well after a few false starts on this Valentines blog I’ve decided to go with the facts on St. Valentine. So who was he? Simple answer is apart from the fact he was an early Christian priest and martyr nothing is known about him apart from the day on which he was beaten and the beheaded. Saint Valentine ( Or Valentinus to give him his real name.) may be a widely recognized third century Roman saint who died on February 14th but there the truth stops. All the rest is information added centuries later and further muddled by the fact there are three St. Valentines associated with February 14th . It gets better, in all there are eleven other saints having the name Valentine commemorated in the Roman Catholic Church. 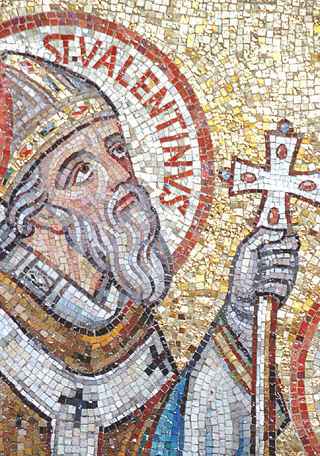 So how did St. Valentine become associated with a day for love and romance? Well one reason was Geoffrey Chaucer and a poem he wrote to celebrate the first anniversary of the engagement of King Richard II of England to Anne of Bohemia, in in particular this line from the poem known as Parlement of Foules. "For this was on Saint Valentine's Day, when every bird cometh there to choose his mate." Well this one line about birds getting all loved up really started the whole day of love that is the 14th of February. Chaucer wasn’t the only one that was fascinated by the private lives of Mr and Mrs Bird. It was *ahem* ‘fair game’ around this period of time with at least three other authors doing their own versions of fifty shades of feathers. So there you go, the day of love started out as badly spelt poems about ruffled feathers in the late 1300’s. So a little of the myth, this St. Valentine was an early Christian priest who is reported to have broken Roman law by performing weddings for soldiers and for spreading the teachings of Christ. The story goes that the Roman Emperor at the time, Claudius II supposedly had this great idea that married men did not make good soldiers and so outlawed marriage as he sought to increase his army. Saint Valentine ignored this law and performed weddings and also cut heart shapes from parchment, giving them to the soldiers and other persecuted Christians. These hearts were a gentle reminder to his flock of God's love and to encourage them to remain faithful Christians. Not surprisingly his action drew the attention of the authorities and he was dragged before the Roman Emperor Claudius II. 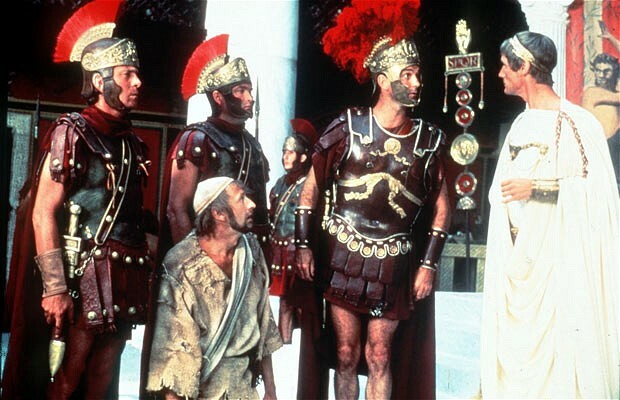 (mental images of Monty Python’s life of Brian and Pilate shouting: Thwow him to the floor spring to mind.) Claudius was impressed by Valentine and made an offer that if he converted to Roman paganism he could live. Valentine refused to be swayed and tried to convert Claudius to Christianity instead. This wasn’t the smartest move he ever made and he was condemned to be executed. While awaiting his execution he performed a miracle by healing Julia, the blind daughter of his jailer Asterius. This act resulted in the jailer and his family converting to Christianity and they were all baptized. On the evening before Valentine was to be executed, he wrote a note to Julia, the first ever ‘valentine’ card, signing it as "Your Valentine." Saint Valentine was buried in the Church of Praxedes in Rome, located near the cemetery of St Hippolytus. According to legend, Julia herself planted a pink-blossomed almond tree near his grave. The almond tree remains a symbol of abiding love and friendship to this day. So why would the Romans not like and persecute this small religious cult and kill so many of its followers? Well look at things from the Roman point of view. These Christians were a sect from the Jewish faith and the Jews were not really in favour in Rome at the time. Added to this they refused to acknowledge the Roman religions and ways so were also seen as traitors. But here is the clincher, the actions that kept the arena lions fed. These Christians had secret rites but details were known, they met in secret and drank the blood of Jesus and ate his flesh. This Jesus, who was a criminal who had been executed but then rose from the dead. In the very heart of the Empire was a secret cult that was spreading its vile practices. The Roman people came to the only conclusion that fitted the known facts, the Empire was under attack from Vampires. Well with so few facts know about this St’ Valentine I’m running with this idea as it fits the rumours of the day. The patron saint of love was a blood sucker and the Emperor Claudius II had his head chopped off to prevent him rising from his grave. Can't wait to read the new Eloim story! This bloggy thing is for Piestoff Alienbutt's ramblings, unbelievable book facts and the odd book character interview by piestoff. Or to put it another way it's just gonna be made it up as he goes along and anything could get posted here. Why the Vampire heart throbs?